When you first start with DIY projects and crafts, you’ll soon discover that there are a lot of different types of materials that are available to you. The choice depends a lot on the project you’re working on and the material that is needed for such project. Working with crafts usually means that you have already been using jute, but if you haven’t, it’s high time that you did. Jute is essentially a type of twine. This twine is made from the plant, also named jute, which means that this is a natural fiber. The plant grows quite long and it’s rather soft, with natural shiny, golden color, which is the reason why it’s also known as the golden fiber. The plant requires low maintenance, with low pesticide and fertilizer usage. Not only is biodegradable and environmentally-friendly, it’s also the cheapest vegetable fiber made. This is why jute has found its application in many industries and why its usage has been so widespread. Jute plant is spun to coarse threads, after which they make the twines that are used further in the industry. Twines vary in thickness, so you can find thinner jute or quite thick ones. For thick twines, a couple of jute fibers are wrapped around in plies. This is how they make one strong and thick jute twine. Jute fiber on its own is quite durable, which is another reason why it is so widely used, but during the process of creating plies, the durability of the fiber is increased even more. More plies of jute fiber mean thicker twine but a more durable one. Some of the main advantages of jute twine include good insulation and antistatic properties. The fibers also have low thermal conductivity, good acoustic insulating properties, low extensibility and high breathability. Jute also possesses features allowing it to easily blend with other fibers. Disadvantages that has been noted include disability, brittleness, and yellowing in sunlight. To prevent these flaws, the fiber is treated with certain types of oils. When wet, jute has less strength, which is why it might not be suitable for humid areas. Although the natural color of the jute fiber is golden, the fibers can be treated with different colors to create different variety of colors available on the market. Furthermore, if several twines of jute are woven to make a 3-ply or 6-ply jute, for example, fibers of different colors can be woven together to create a colorful jute twine. The final jute product is packed in rolls that can range in length, starting from quite short rolls perfect for smaller crafting projects, to quite long ones which are commonly used in the industry. You’ll probably be able to buy jute in local stores that sell craft supplies or in hardware stores. If you aren’t sure where to look for, the most convenient place is certainly Amazon. While stores tend to have a more limited choice of jute twines, when it comes to Amazon, you’ll find the best offer of different sort of jute twines. You can browse by color, length, the number of plies, etc. Packaged in a 360-foot roll, this jute twine comes in 3-ply eco-friendly fiber. If what you need is a bit paler color than natural, golden jute color, ivory might just be the perfect shade. Available in a 3-ply twine in a roll 75 yards long. Jute twines are also available in packs, sometimes in the same shade, and sometimes featuring a couple of shades. This pack of three jute twines combines a mix of brown, off white and green. 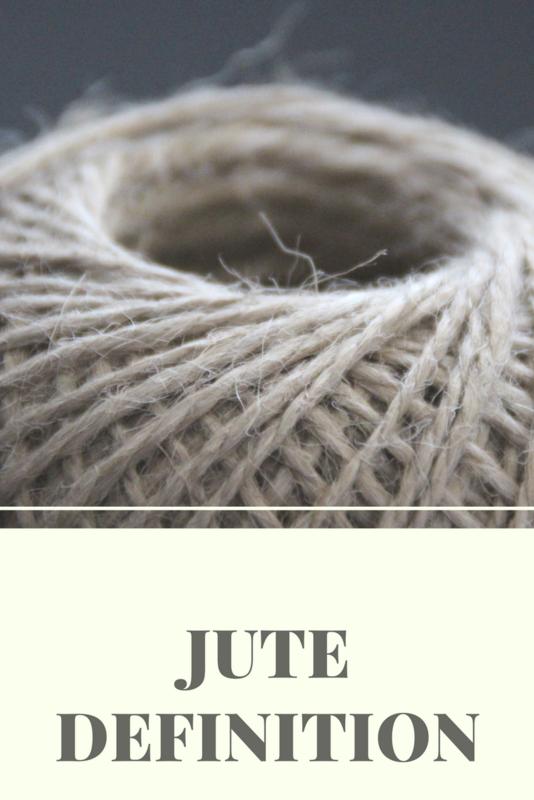 Jute is typically a very cheap type of twine, and it’s even more affordable when bought in larger quantities. This one, in particular, is 1000 feet long. For greater durability and projects that require more endurance, consider 6-ply jute twine. This one comes in a roll that is 328 feet long. Finally, jute is used in floor coverings, piled carpets, as well as for making different types of fabrics, including hessian cloth, sacking, canvas, etc. All of this means that jute is a quite handy material to have in your home. As a result, it might even inspire you to start with some creative crafts and DIY projects of your own, that will certainly be a nice addition to your home decor.